An Avid Huntsman Practices Shooting Pigeons While Four Golfers Tee Off. Who Was the "Pigeon" in the Foursome? The Caddies Know. 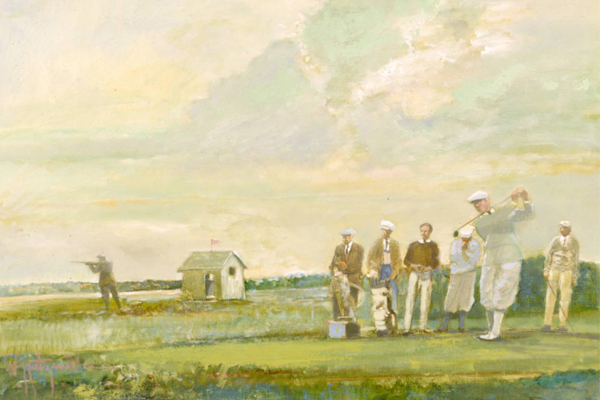 "Shot Gun" shooting was a favorite pass time after the round in the early days of American golf. A result of simply using the right setting with sufficient land for a venue where sportsman gather to pursue their passions.